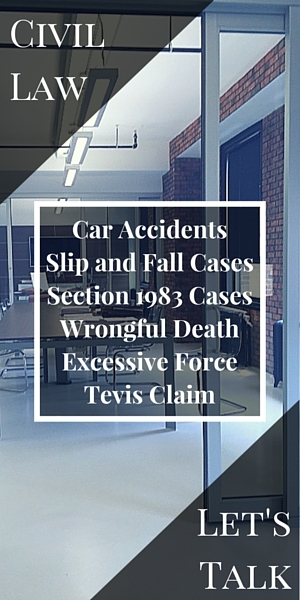 Section 1983 cases pertain to lawsuits involving civil rights and federal regulations. The idea was originally formulated post- Civil War to prevent racial violence. It has now evolved to cover rights of every American of every race. For a Section 1983 case to stand in court the prosecution must effectively prove that a person deprived him of standard rights or privileges given to all of us by the U.S. Constitution. To prevent serious penalties, damaged reputations, and staggering fines, hire a defense lawyer to be on your side when it comes to defending yourself against a Section 1983 case. Contact us if you, a co-worker, or anyone you know is need of representation or legal advice in terms of a civil rights case. It is our civic and legal duty to give you a fair and just trial. Let us do our part.